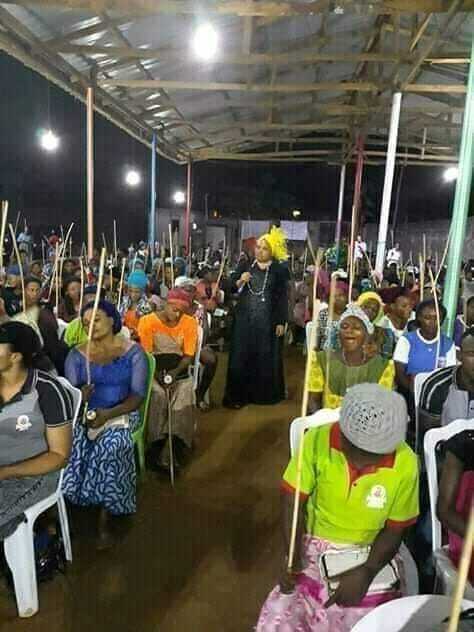 A Pastor has asked his church members to bring canes to church so that they can beat the hell out of their spiritual husbands who have been causing problems in their marriages and responsible for the single ones among them not to be married. As seen in the photos above, the members obliged! Let’s wait and see, if there won’t be any more problems now in their marriages and if the single ones will all be married now! The photos were shared in Facebook. 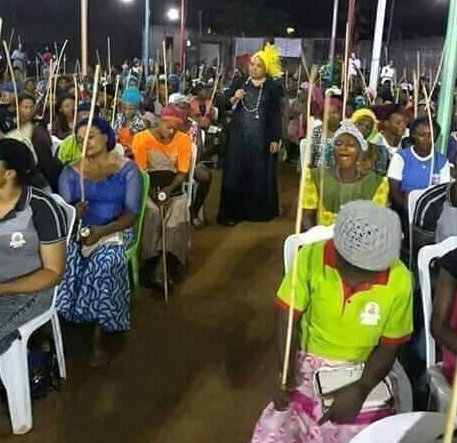 Religion has done more harm to Africa than poverty. The Nigerian society is so gullible and the fake pastors and conny politicians are fully aware of that.